St. Louis has a big day coming up! Our fair city is about to celebrate the 250th anniversary of the day it became a dot on the map. I’m excited about it, and I think celebrations are in order. 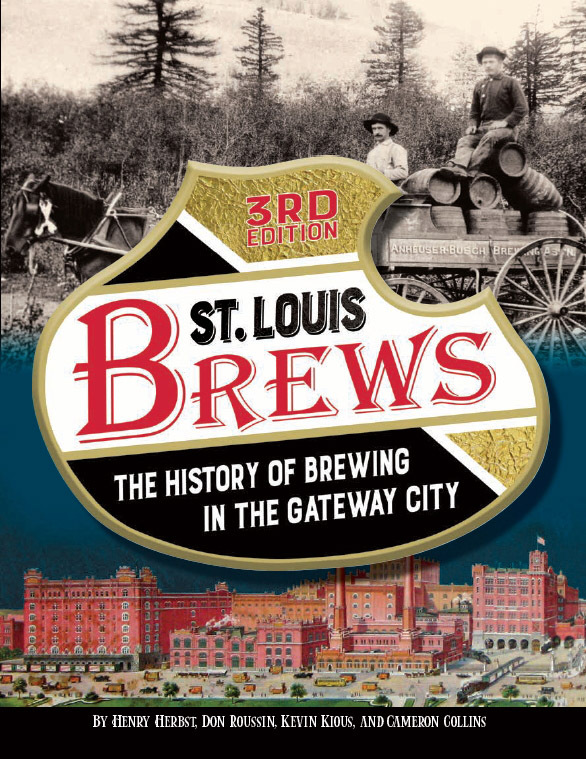 I am making plans to spend February 15, 2014 reading about St. Louis history, listening to other people talk about St. Louis history, and of course… drinking. Well, that’s how I spend most of my days, but I’m at least gonna bust out the good gin for this one. I know the story of how St. Louis came to be, but I decided to take an even closer look before popping the cork. And I better write about it now, because writing won’t be happening on the fifteenth. Since starting this blog, I’ve found I can’t write a single sentence after the first sip of a sip a tasty cocktail. How sad is that? I write a blog about history and drinking and I can’t do both at the same time. Sigh. To help tell the tale, St. Louis is fortunate to have an amazing resource that many American cities don’t. A primary source detailing how and when the city came to be exists. Auguste Chouteau, the co-founder and “First Citizen” of St. Louis, wrote it all down for us to read whenever we want to (well, only if you can read French). And by the way, I’d like to use this post to promote the proper pronunciation of his name. It should be pronounced “SHOOtoe”, not the “SHOWtoe” we are all used to hearing. Sadly, most of Chouteau’s “journal”, which he wrote later in life, was lost in a 19th century fire. However, the sixteen pages that tell us how St. Louis was founded survived and are tucked away for safekeeping at the Mercantile Library in St. Louis. It all started in November 1763, two-hundred and fifty-one years ago. That’s when our soon-to-be co-founders were paddling north on the Mississippi River looking for something. Their journey originated in New Orleans, and after dropping off men and supplies at a French garrison (Fort de Chartes) along the way, the two men continued on their own. Upon reaching the confluence of the Mississippi and Missouri rivers, they turned around and headed back downstream. About eighteen miles later, they pulled their boat up to a gently sloping shore on the western bank of the Mississippi. In front of them stood a two-mile stretch of limestone bluffs that reached forty feet into the air. Nearby, a break in the bluffs created a natural pathway that allowed the two men to walk up and investigate the wooded land stretching to the west. Today, those limestone bluffs are long gone. But the path still remains. It’s now called Market Street. The older gentleman who stepped from the boat was our other co-founder, the Frenchman Pierre Laclède (“LaCLED” not “LaCLEED”). He was likely in a good mood because their boat was now parked in front of exactly what he was looking for. To make sure they didn’t lose it, Laclède pulled out an axe and notched a few trees to mark the location. With that out of the way, he turned to his young companion and gave him clear instruction. The young man taking notes was the previously mentioned Auguste Chouteau, Laclède’s stepson. Chouteau was only thirteen (maybe fourteen) at the time, but the responsibility Laclède then heaped on him is astounding. When weather improved, Chouteau was to lead several boats filled with men, supplies, and building materials back to the piece of land they were standing on. Barely a teenager, he was about to take the lead in founding a new city. Three months later, on February 15, 1764, Auguste Chouteau pulled to shore at the head of his charge. As he instructed some of his men to begin clearing land the next morning, he instructed others to build necessary storehouses and living structures. Auguste Chouteau then began to plot out Laclede’s proposed street grid on the same land that now sits beneath the Gateway Arch. That day, February 15, 1764, is the moment the city of St. Louis came to be. Despite what could come to be (and did), a bustling city of the future is not what Pierre Laclède had in mind. Commerce is the reason St. Louis was founded. Several years earlier, Laclède and his business partner in New Orleans, Gilbert Antoine de St. Maxtent, were given exclusive rights to trade with Native Americans west of the Mississippi River. Laclède’s primary mission was to build outposts on the west side of the river in order to do just that. This was necessary, because the Treaty of Paris signed the previous year (ending the Seven Years’ War), meant that every French settlement on the east side of the river (like Cahokia and Kaskaskia) were now the property of Great Britain. Interestingly, Laclède had no idea his new settlement on the western bank of the river wasn’t French either. Two years earlier, in 1762, France secretly ceded all territory west of the Mississippi River to Spain. Word hadn’t reached Upper Louisiana yet, so this created a very interesting situation. In early 1764, about thirty French-speaking men went about building a new city on Spanish soil, across the river from the British Empire, and surrounded by several Indian tribes. Actually, the Indian situation was probably the least of their worries. Unlike the British, who strutted around the continent like conquerors, the French took a chummier approach to Native American relations. Being a friendly neighbor meant having a profitable trade partner right next door. As a result, Laclède was happy to set up shop near plenty of Osage, Cahokia, Kaskaskia, Peoria, and Tamaroa that lived and hunted in the area. It’s also worth noting that St. Louis is one of the few major American cities that did not displace Native American people when it was founded. In fact, shortly after St. Louis came to be, about 150 Missouri Indians showed up at the front door asking if they could move in. Laclède realized St. Louis wasn’t ready for such a population explosion, so he smoothly convinced the tribe it wasn’t the best idea at that time. An interesting fact about this event is that Missouri Indian labor was used to help build St. Louis while Laclède and the Missouri Chiefs were busy negotiating living arrangements. St. Louis was founded in a part of North American known as Upper Louisiana. It was wilderness, but it wasn’t off the map. Shortly after Marquette and Joliet became the first Europeans to set eyes on the future site of St. Louis in 1673, French explorers like LaSalle started cruising up and down the Mississippi looking for trade routes to China and ways to expand an empire. Settlers soon followed, taking advantage of a vast and fertile land that could grow tobacco, corn (maize), and wheat. The extensive availability of such land can also explain why Pierre Laclède found his ideal location completely unoccupied. The high bluffs overlooking the river prevented easy access to water. It wasn’t perfect land for farming. But Laclede wasn’t looking to grow plants. He needed a spot from which to barter. Garrisons like Fortes de Chartes followed, villages like Cahokia and Ste. Genevieve were founded, and boats cruised up and down the river to bring trade goods to all of them. Jesuit missionaries roamed the woods looking for native souls to save. In one noteworthy example, a priest named Father Gabriel Marest helped establish a short-lived Indian-European settlement in 1700 on a piece of land that is now in south St. Louis city. It contained a church, fort, and several Indian cabins, but was abandoned just three years later. A few even claim Laclède and Chouteau shouldn’t be considered the first. Professor Carl Ekberg believes he found three maps that prove an established settlement already existed very near where Laclède and Chouteau notched their trees. Regardless, the scene at this important place, at this specific time, is a remarkable moment in American history. Imagine Laclède and Chouteau standing on top of that bluff and taking it all in for the first time. When St. Louis was founded three months later, the population was about only about 35 people. In just 100 years, more than 350,000 called St. Louis home. As Laclede hoped, his fur-trading outpost would become (and remain) one of the greatest cities in America. On which day should I raise my glass and toast Pierre Laclède and August Chouteau? A minor (and quite interesting) debate exists regarding this question. Generally, the date many believe Pierre and Auguste pulled to shore is February 14th, 1764. Even the countdown clock over at STL250, an organization lining up all sorts of fun events to celebrate the day, will hit zero on Valentine’s Day. In his book Founding St. Louis: First City of the New West, Frederick Fausz asserts (rather emphatically) that St. Louis was founded on the fifteenth of February, not the fourteenth. He makes the point that Chouteau wrote “15” in his journal, and that fact settles the argument. It is the only record from someone who was there. I completely agree with Mr. Fausz, and this is why my celebrations will be a bit well, livelier on the fifteenth. Interestingly (and somewhat amusingly), people clinging to the fourteenth aren’t necessarily out of their minds. As some have pointed out, Chouteau wrote his narrative decades after the event happened. Maybe his memory was a bit hazy? His son Pierre claimed his father told him was the fourteenth. Inspect the writing, and one could say the “5” does kinda looks like a “4” (it’s definitely a “5”). Adding to the fun, “Fevrier” (the narrative is written in French) is crossed out and “Mars” is written over it. We know for a fact that they didn’t land in March, so what happened there? This is the sort of trivial quandary that can keep a history buff up like me at night. Maybe someone intentionally changed it, like the folks who put the new tombstone up for him in Calvary Cemetery with the (very) wrong birth year. That’s another good story, and one I need to look into. In the meantime, I need to find a drink to celebrate these two fantastic guys. Fortunately, figuring this one out was pretty easy. Drinking alcohol was a fact of life in colonial (and frontier) America. The average person drank far more on a daily basis than people do today. It was a fact of life for just about everyone. Since it was often safer (and of course, tastier), colonists and frontiersmen regularly chose whiskey, rum, or ale over water. The sixteen pages of Chouteau’s journal tell us nothing about our co-founder’s preference in booze. Actually, not much is known about Laclède’s preference in anything (little was written about him). But if you ask me, I say they had some whiskey with them on that boat. I also say that after walking around their new find, they had a few nips to celebrate their good fortune. Today, the general area where this may have likely to have happened is where the southern leg of the Gateway Arch now meets the earth. It’s also the location where Pierre Laclede chose to have his own house built (the same house Missouri Indians helped build). This is where it started, so this where is the place I went to have my drink. On a cold winter day, I trudged towards the southern leg and snuck a few sips of whiskey out of a flask and toasted to our co-founders. Unfortunately, I don’t think Laclede and Chouteau had to deal with National Park Rangers who don’t want people openly drinking near a national monument. Let’s just say my stay was very brief and taking photographs was out of the question. It was bitter cold, so I had no problem saving it for another day. Actually, I’ll save it for the real birthday, coming up on February 15th. Finally, I want to take a moment to point out a few of the many ways to celebrate the 250th Anniversary of St. Louis. Check out the schedule of events at STL250. The Missouri History Museum has a new exhibit opening to go along with a yearlong celebration they have planned. Even my beloved Campbell House Museum will be open the weekend of February 15 (a time that is usually off-season). To commemorate the 250th, tours are free. In honor of the 250th Birthday of the City of St. Louis, the St. Louis Chapter of the Missouri Society of Professional Surveyors will perform a re-enactment of laying out and surveying the first 3 blocks (mentioned in your blog) of the village that was to become the City of St. Louis near the South leg of the Arch. All are welcome but as you stated the NPS frowns on any adult beverages. Look for the Exhibit Tents set up on the Arch Grounds south of the south leg of the Arch. Survey Party will muster at 9:00 a.m.